A woman accused of stealing more than £800,000 from vulnerable adults living in supported accommodation was "utterly dedicated" to those she is accused of defrauding, a jury heard. Dianna Turner, 53, is said to have taken money from residents at the Glastonbury Guest House in Sheffield. 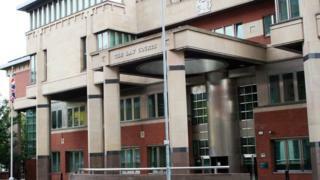 Prosecutors at Sheffield Crown Court allege she enlisted her brothers Khalid, 59, and Waleed Rahman, 58, to launder the stolen money. Glastonbury Guest House, on Abbeyfield Road, provided supported living for people with mental health issues, learning difficulties and problems with drink and drugs. It is alleged that between 2007 and 2016 Mrs Turner fraudulently transferred £363,446 into accounts held by her and her two brothers. It is also alleged £453,404 in cash was paid in to their accounts. In his closing speech, defence barrister Dermot Hughes described the guest house's finances as a "shambles" and suggested it was possible Mrs Turner's claim she was acting on behalf of its owner, David Andrews, was the truth. "If it is possible that what she says is right then it must follow that you can't be sure about what the prosecution are advancing," he said. "Dianna Turner, whatever her faults, was utterly dedicated to the support of those residents," Mr Hughes told the court. "Everybody who was asked about her affection and support for the residents spoke in abundance. "Is that a defence if she had been helping herself to their money? No, but it gives you some insight in to her character. "There was not a long line of volunteers helping those troubled by drink and drugs and all manner of problems." Mrs Turner, of Ecclesfield, denies a single count of fraud. Khalid Rahman, of Wincobank Lane, Sheffield, and Waleed Rahman, of Dubai, each deny a charge of money laundering.